After a promising career kickoff in the 1980s, Rourke’s mercurial personality and wild ways ultimately turned him into a Hollywood pariah of the highest order for well over a decade, until the actor eventually learned to tame some of his more self-destructive tendencies and began turning in top-flight film performances culminating with his Oscar-nominated turn in 2008’s “The Wrestler.” Now, as he regularly headlines big-budget studio fare like his next film “Immortals" (opening this Friday), Rourke says he refuses to take his success for granted – and continues to struggle to maintain his momentum. “I remembert when I went back to Cannes with [director Robert] Rodriguez for “Sin City’ and I was sitting in the car and I thought, ‘Oh my God – I’m getting a chance again,” Rourke tells PopcornBiz. “Because all the years go by and it’s 13 years or that many years later and you’re living in a room. After like seven years go by I’d think, ‘Yeah, I really f**ked up.’ And then ten years go by and it’s like ‘They’re not gonna let me back in the door again.’ Especially I was out here [in Los Angeles] and this is the worst place to be when they grind you into the ground – they can’t wait to do it. And I helped them do it." 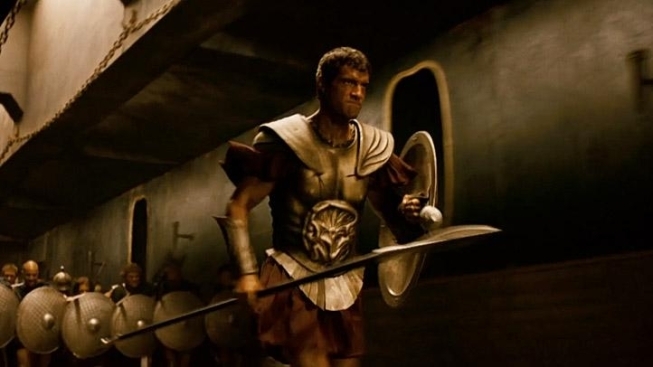 He admits that his latest film “The Immortals” – director Tarsem Singh’s “300”-style epic featuring Greek heroes and gods – isn’t entirely the kind of film he’d rush out to see himself, but he enjoyed the chance to try to find some dimensionality in his character Hyperion, who oppses the hero Theseus (Henry Cavill) and otherwise might have been a routine, straightforward villain. Rourke remembers feeling let down on his last big budget blockbuster “Iron Man 2” when he found too much opposition to his plan to flesh out his villainous character. “And they won,” he explains. “Going to work for Marvel and them breaking [director Jon] Favreau’s balls and wanting just a one dimensional villain – the performance and all I tried to bring to him ends up on the f**king floor. That could cause you not to care as much, not to want to put that effort in when you try to make it an intelligent bad guy, or a bad guy who justifies what his reasons are. So I fight for that all the time. This character was hard because he was written as pure evil." Now, Rourke’s weighing if he’ll return to the role of Marv, the hulking, mentally trouble yet noble deep-down protagonist of several “Sin City” comic books for Rodriguez’s announced sequel. “Depends,” he says, “Depends how bad they want me – ya feel me? Yeah, I did [like the character]. But I’m claustrophobic, so the three hours of make up…Because you have to keep it on for 13,14 hours a day. It’s latex and glue and that stuff that gets my eyes all red. It’s a nightmare. And the chair, you’ve got the teeth in. I remember I picked up some chick at a bar in Texas and I invited her to the set to have lunch at the lunch break. I couldn’t take the s***t off. I never saw her again." 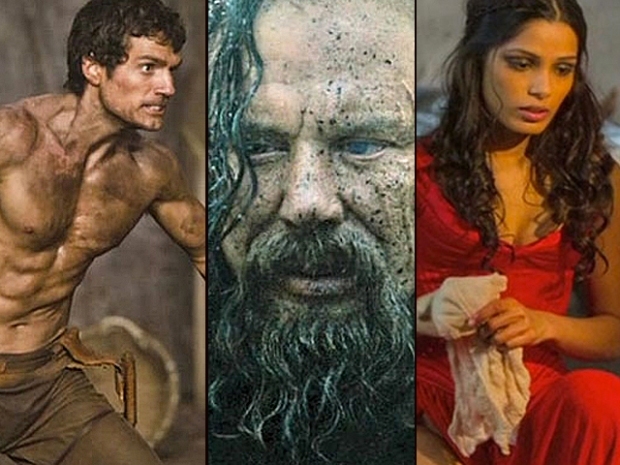 "Immortals" Already Looks Way Better Than "Clash of the Titans"